New courses available - please go to the Workshops 2019 Page. Courses will be posted as soon as they are finalised. Bapple and JoJo is the home of beautiful and intricate sustainably created textiles. 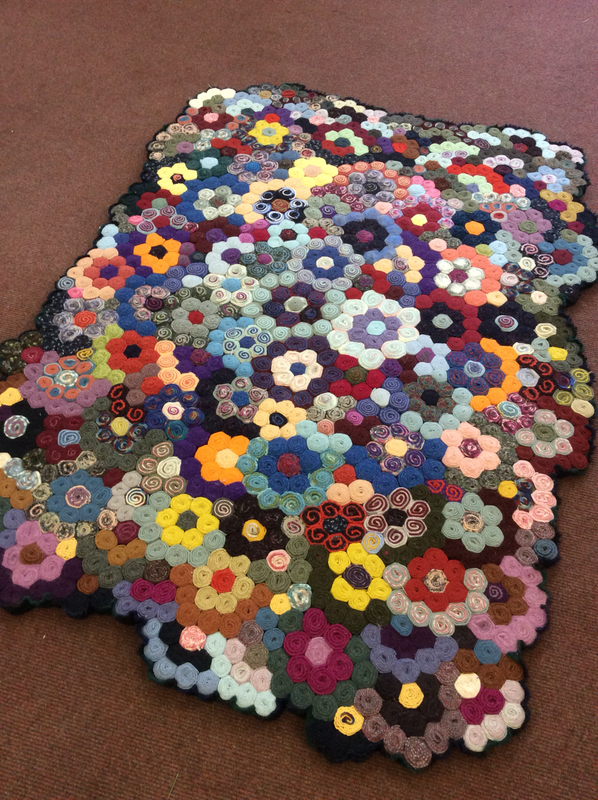 Gill Curwen, founder of Bapple and JoJo, has been creating sustainable textiles for a number of years, after completing an honours degree in the design of carpets and interior floorcoverings. 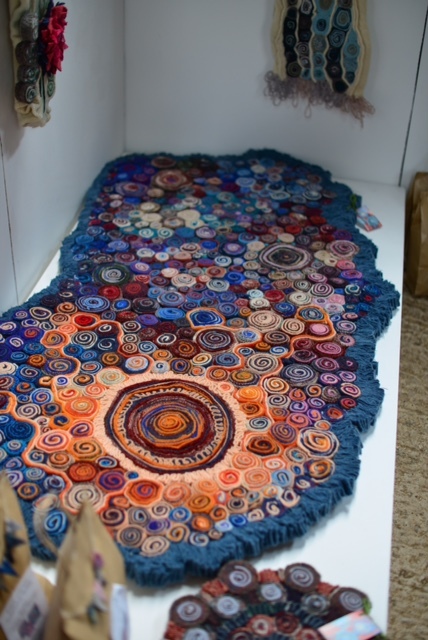 She uses traditional and historical rag rug making techniques and recycled materials to create very non-traditional textile pieces - each one unique. Originally from the beautiful county of Cumbria in Northern England, home of the English Lake District, Gill is now based in Clackmannanshire - otherwise known as 'the wee county' - just outside the historic city of Stirling. Quillie Wreath £25 SOLD Similar available on commission. All pieces are individually made by hand - no machinery is involved at any stage of the process. 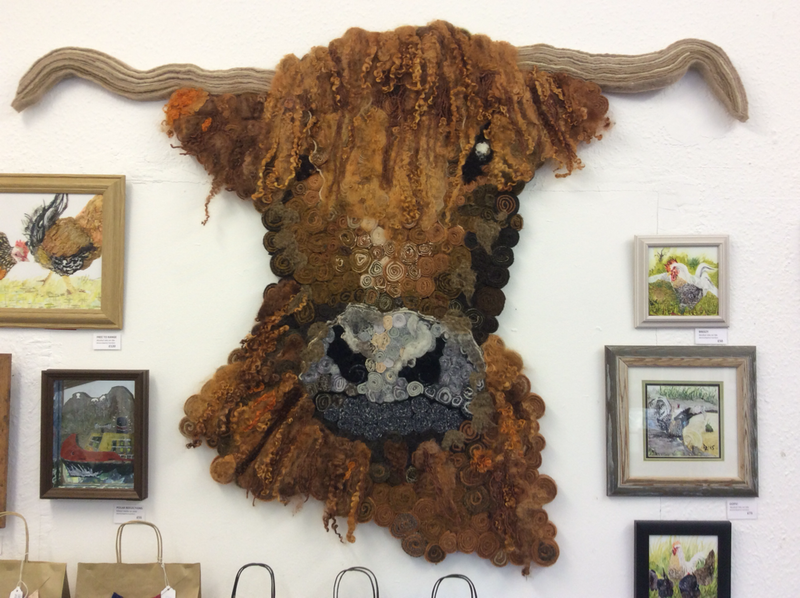 All materials are recycled or sustainably sourced and work is created using 'pre-loved' tools and vintage rug making frames. All pieces are unique to you and commissions are welcomed - just contact me for a design quote. I can also supply Rug Making Frames and Tools - made locally to order. Just contact me to discuss your requirements.